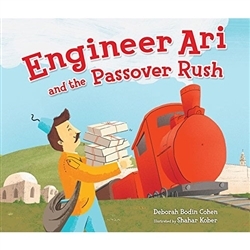 Engineer Ari has only one day to gather all the things he needs for a seder with his friends. Luckily, his many friends and neighbors happily share their seder plate items with him. 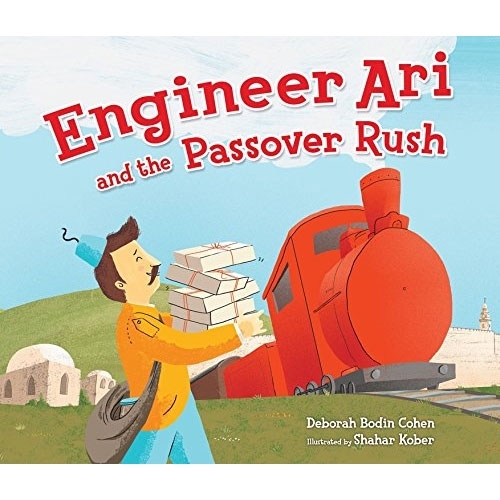 In return, Engineer Ari promises to bring them matzah from the matzah factory in Jerusalem. He enjoys watching the workers make the matzah, but will he make it back to Jaffa in time to celebrate the seder with Jessie and Nathaniel? The Engineer Ari series is inspired by the historic train from Jaffa to Jerusalem rail line, built in 1892, which shortened the journey between the cities from 3 days to 3 hours.